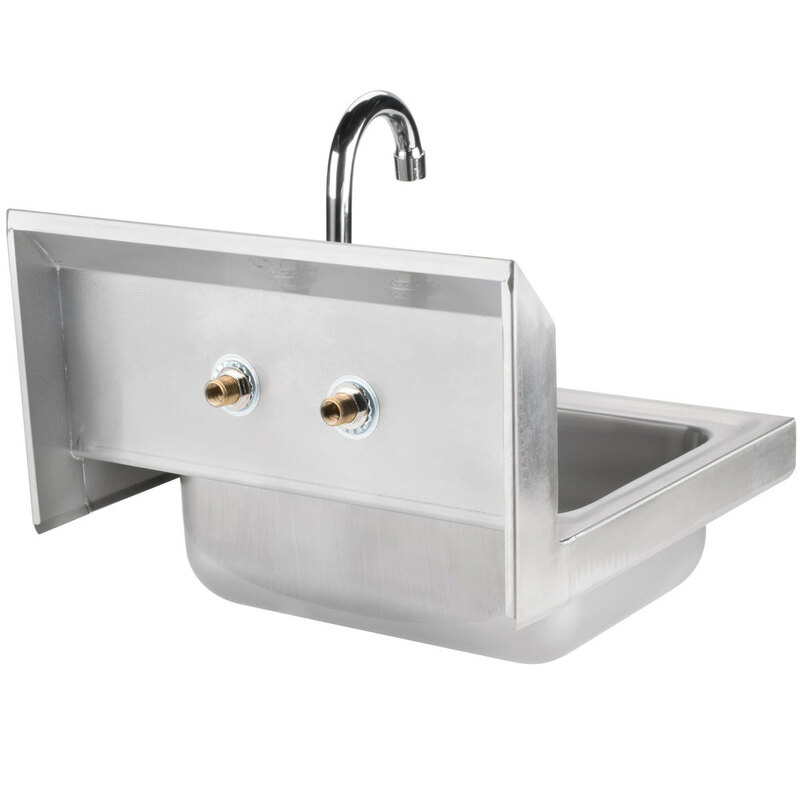 Improve your operation's overall sanitation and help prevent cross contamination with this Regency wall mounted NSF hand sink. 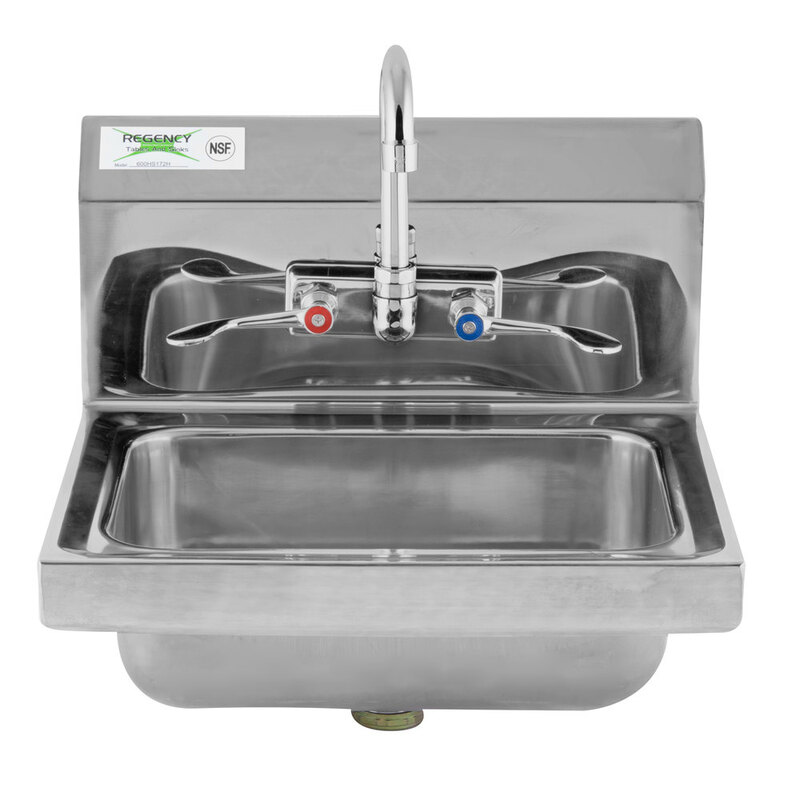 Thanks to a splash-mounted 8" gooseneck faucet and built-in wrist handles, this unit is the perfect choice for busy kitchens, janitor closets, restrooms, or industrial locations. 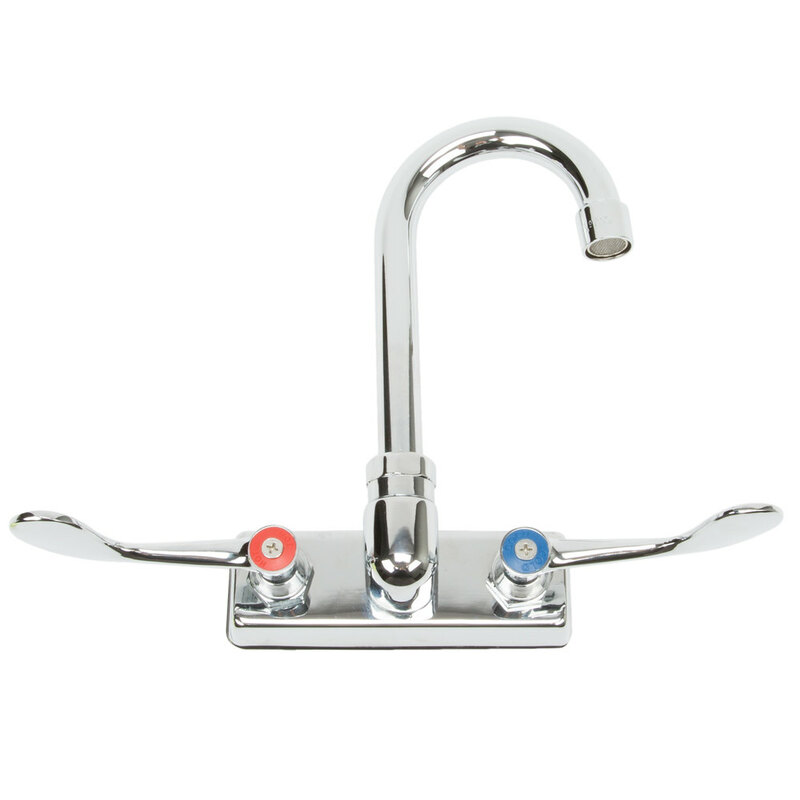 The long handle design allows users to keep dirty hands from directly touching the levers, decreasing the potential for bacteria to transfer from one individual to the next. 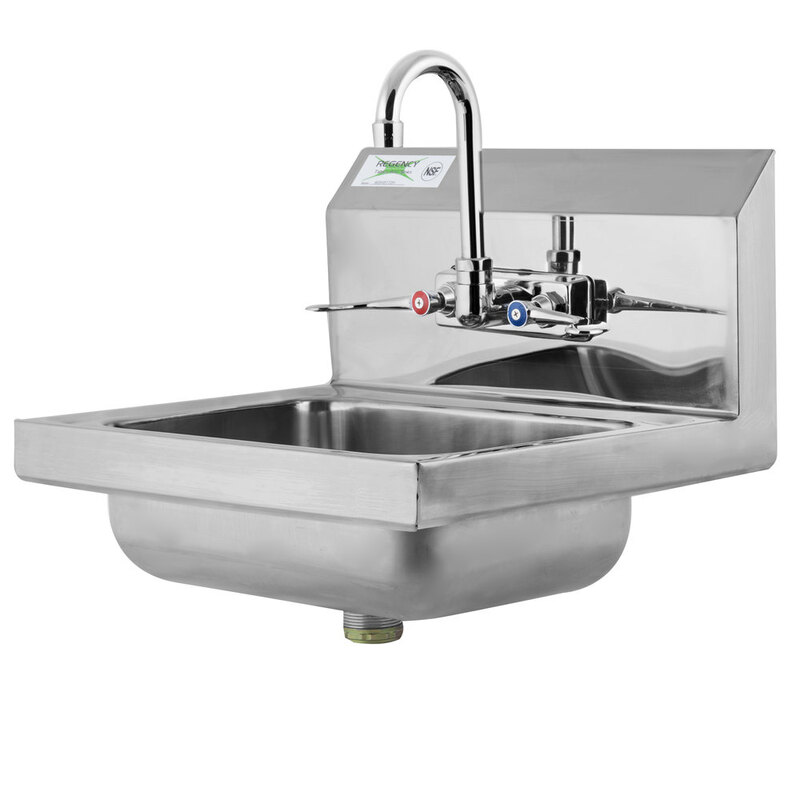 Durable, one-piece type 304 stainless steel construction adds extended durability, in addition to making the unit easy to clean. 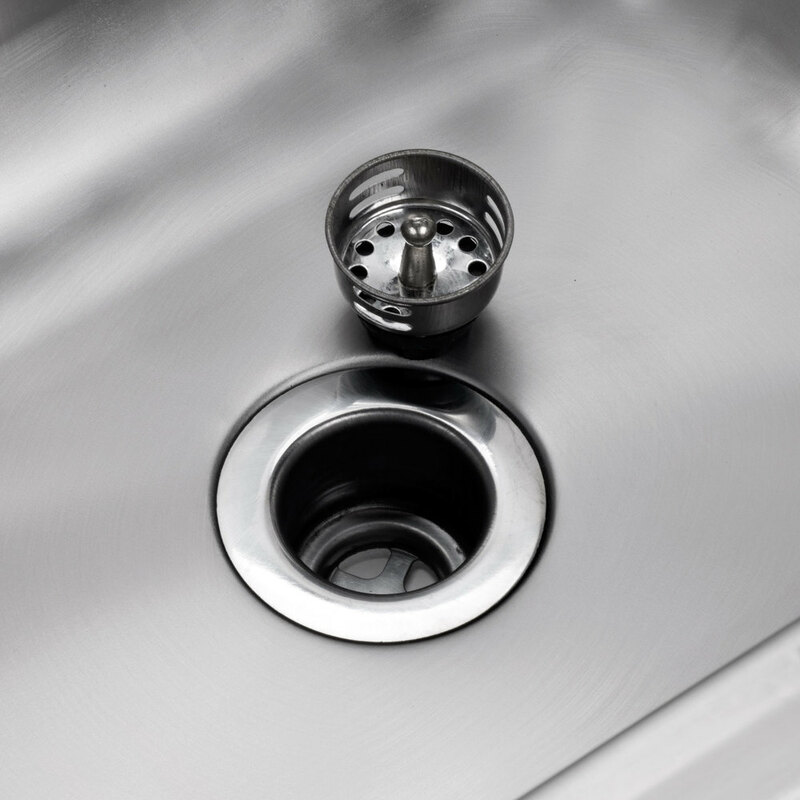 For easy installation and unparalleled stability, a keyhole style mounting bracket is featured on the unit's rear. 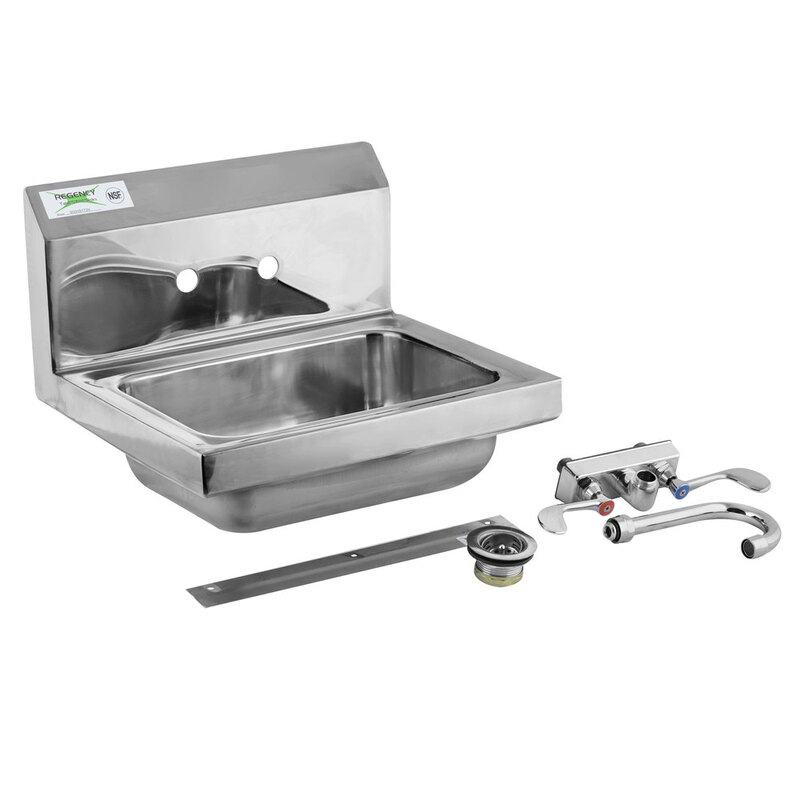 It comes standard with a 1 1/2" IPS drain basket.